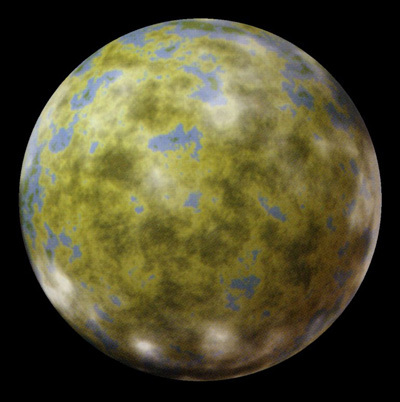 Falleen was a planet in the Mid Rim region and home to the Falleen species. It had jungles, vast plains, and icy mountains. Falleen joined the Galactic Republic 3,996 years before the Battle of Yavin. In the years following the Battle of Naboo, Falleen experienced a boom in the construction of factories and manufacturing facilities, as corporations found it was less costly to maintain such facilities on remote planets. During the Clone Wars, the planet was represented in the Galactic Senate by Zurros, who served as a double agent for Count Dooku until Falleen openly joined the Confederacy, though it took a land invasion and coercion of the Falleen King to complete it. Later, during the early years of the New Order, Darth Vader established a bacteriological research outpost on the planet. When a highly-destructive bacterium got loose 7 years before the Battle of Yavin, Vader ordered his ships in orbit to raze the laboratory and the city surrounding it in order to save the rest of the planet. Vader wiped out the bacterium, along with an entire city and over two hundred thousand Falleen, including the royal House Sizhran. However, biological and chemical research for military purposes continued on the planet in other locations. Decades later, Falleen, which never joined the New Republic, fell to the Yuuzhan Vong, shortly after the destruction of the Fondor shipyards and Hosk Station. After the war's end, the planet remained unaligned and isolated.